Hey kids! Halloween Haunt starts here. Who says the ghosts and ghouls only come out at night? Not us! Come to Downtown Fergus on Saturday, October 28 and see for yourself. 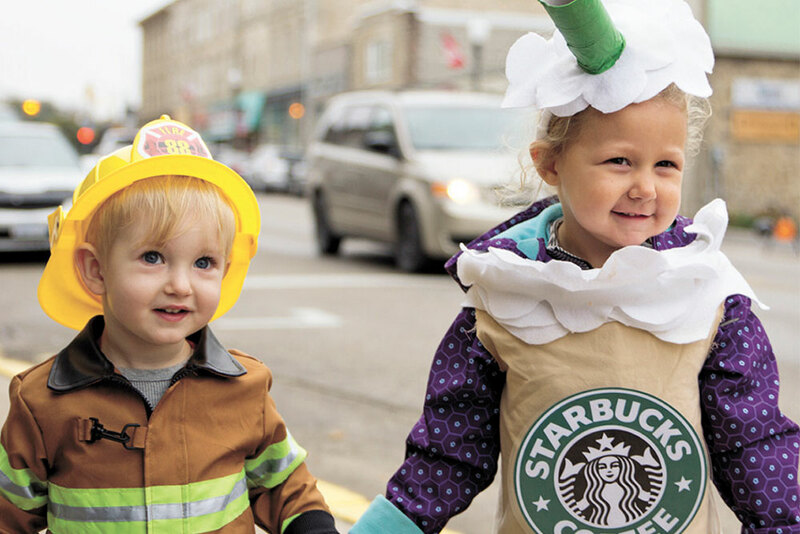 The Halloween Haunt Street Walk is a fabulous spooky tradition celebrated in the light of day, where the historic main street comes alive with fun and excitement for the whole family. And it’s FREE! So gather up the kids and dress them up in their favourite Halloween costumes. Hey! Dress up the whole family if you wish. The more the merrier! It’s all about the spirit (or spirits, as it were) of one of our favourite events of the season. Face painters will help you get into character and we’ve got lots of them! This event is FREE and brought to you by the Downtown Merchants of Fergus. Come have fun with us!